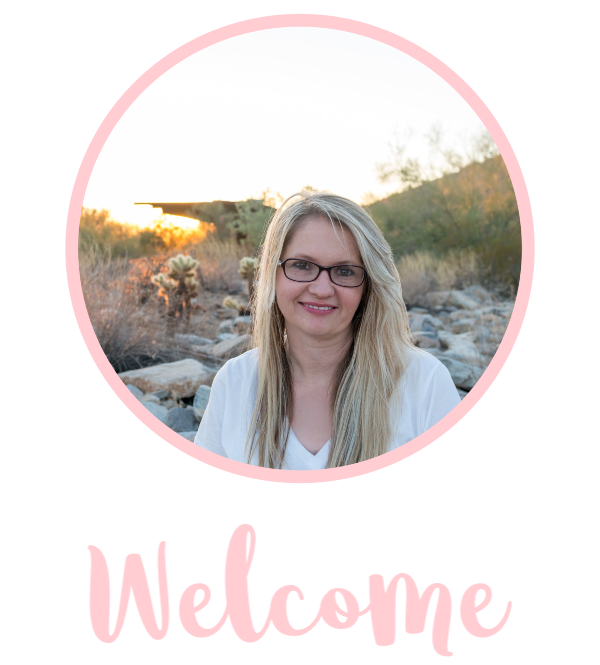 I have lived my whole life in the Phoenix metro area. 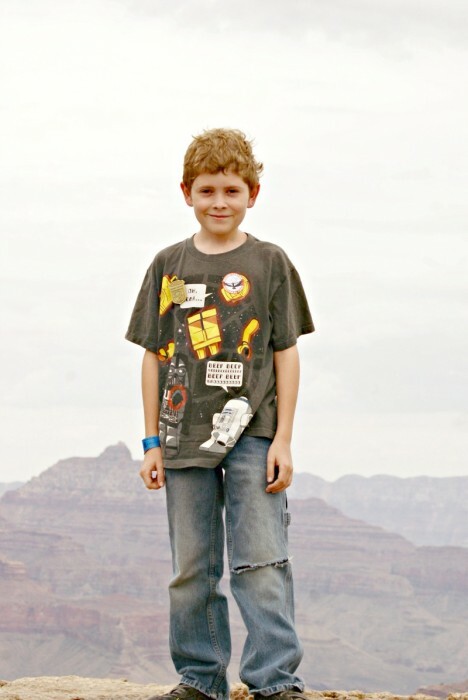 My dad took us to many places when we were younger but surprisingly enough, we never visited the Grand Canyon. I wonder if my parent’s had the same fears I did when my kids were young, that it may not be safe. 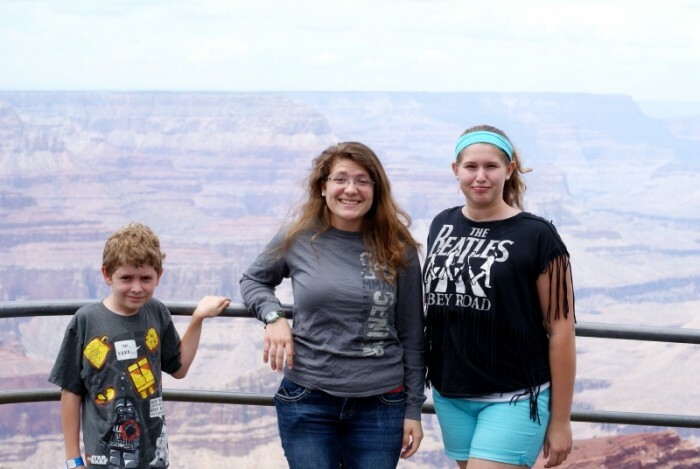 This Summer when my niece was visiting, we decided that since the kids are older we could take them to the Grand Canyon. 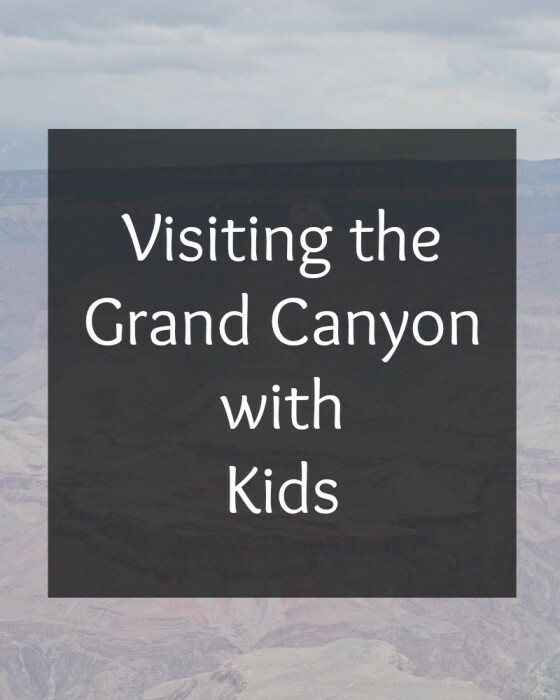 I had actually been to the Grand Canyon twice as an adult, just never with the kids. When we went this Summer with the kids, I did some research and came up with plan on what we would do while we were there. I think sometimes people think “well, it’s just a hole”. Well, it’s so much more than that! We learned so much while we were there and the panoramic views are breathtaking. We planned out a weekend to visit northern AZ and first stayed in Flagstaff. While in Flagstaff we did the AZ Snowbowl ski lifts. 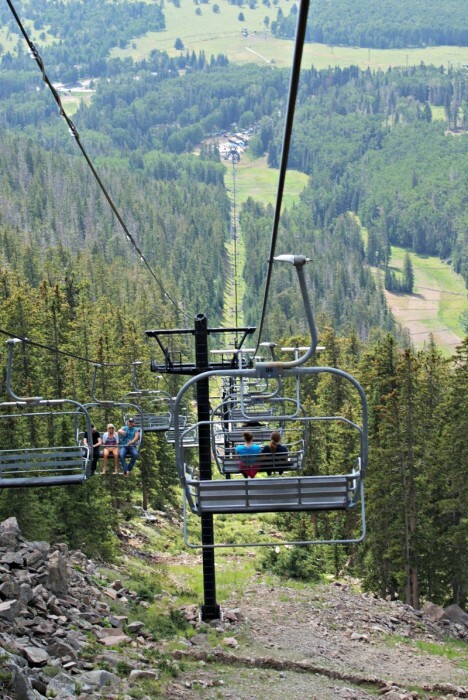 If you haven’t been on the ski lifts yet, it’s a fun Summer adventure for all ages! On the drive up to the Grand Canyon you can view a lot of beautiful scenery. It’s actually only about an hour and a half from Flagstaff so the drive isn’t that bad. Pack snacks, water bottles, sandwiches etc. You can bring food with you and keep it with you when you drive or in a backpack as you travel. Be sure to also bring sunscreen, bandaids, camera cards etc. 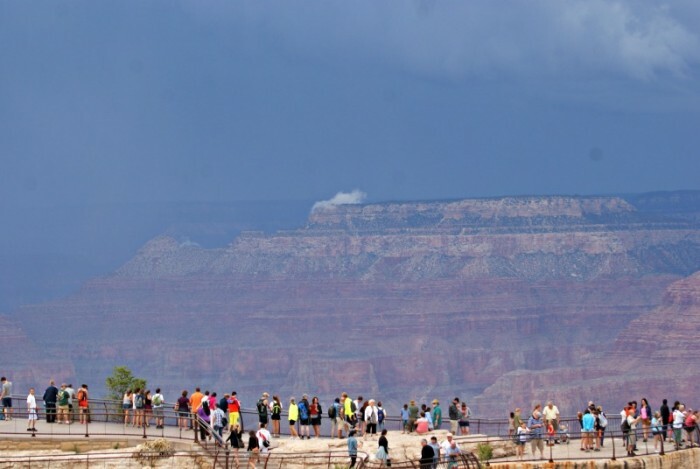 If you go later in the Summer during monsoon season, be sure to bring an umbrella. Plan on driving in the park or taking the shuttles. The shuttles are actually free and are easier than stressing about driving and parking. 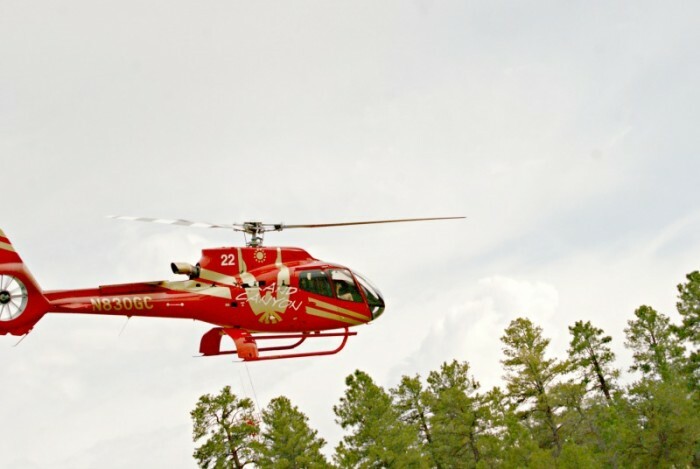 We parked in the main parking lot in the south rim and then took the shuttles. The park gets busy, be sure your kids wear bright clothing and have your name on them in case they get separated from you. Look for the railings throughout the park so you can take photos near them. My biggest fear was one of the kids slipping and falling but the park has rails throughout the park for everyone’s safety. Be prepared for weather by doing a forecast check on WeatherChannel.com. If you are planning a trip months out, use an almanac to see what future year’s weather have been. We went during monsoon season and it was sunny then dark and cloudy as you can see above. Be sure to stay close to shelter if you go during the monsoons to stay safe. It’s nothing to be worried about though, it was actually pretty cool getting to see the storms come through. Check out the wildlife! 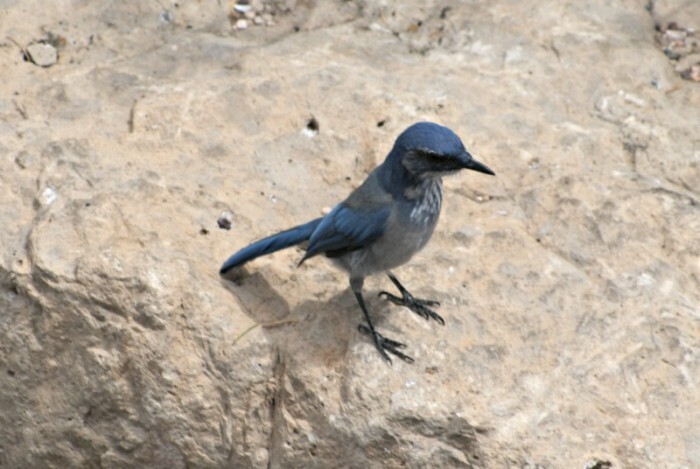 We saw birds, lizards, elk and more while visiting the Grand Canyon. Let the kid’s be the photographers and give them a camera to take pictures too. 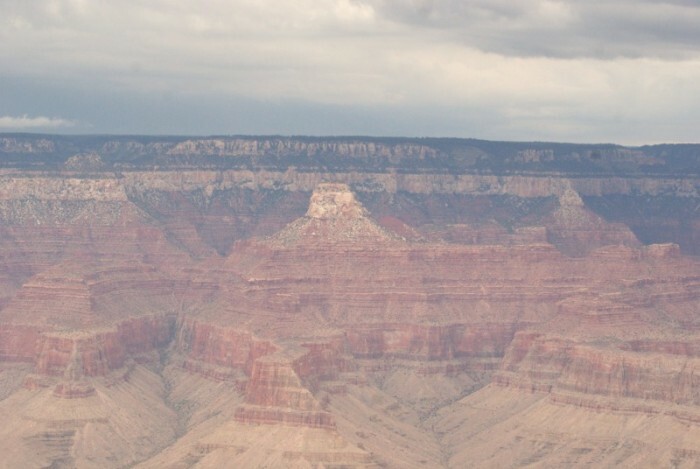 We loved visiting the Grand Canyon, we’ll definitely go back every Summer. 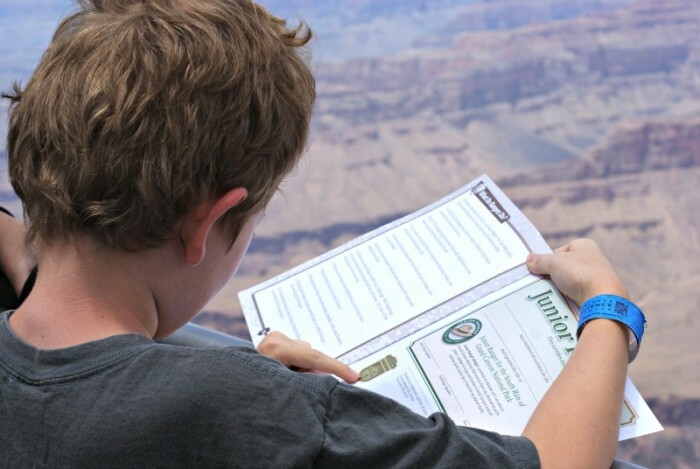 There is so much to do there and while we only stayed for a day, there are plenty of places to stay and to camp near and in the Grand Canyon so you can visit multiple days. 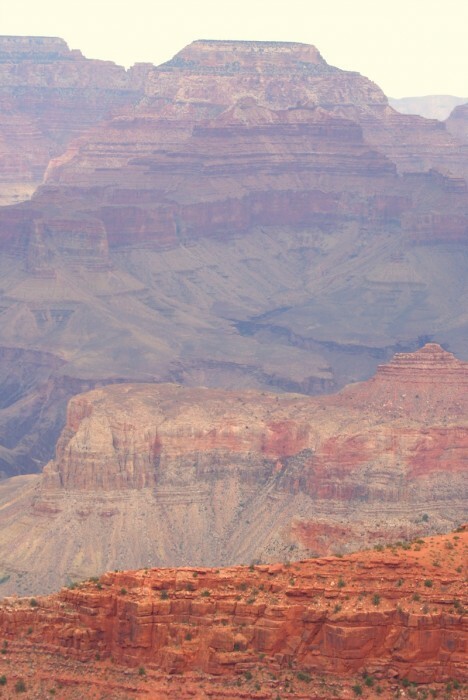 A great feature of the Grand Canyon is it’s only $25 per car for a 7 day visit.